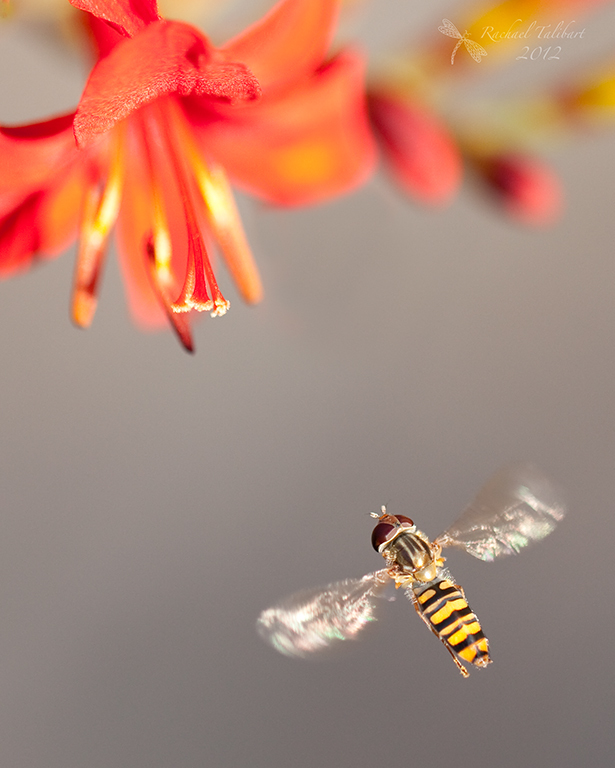 I was pleased the other day to capture this little hoverfly in mid hover with the light captured in its wings. However, the original shot wasn’t quite as nice. The background is my patio. It is smooth and doesn’t distract the eye away from the subject but it is not very pretty. A lovely smooth green would have been ideal but the hoverfly ignored my polite request that it hover over the lawn. So I decided to improve the shot with a little photoshop magic. I have a growing collection of what I call “garden bokeh” images. They are easy to make. Just find a pretty flower bed and some dappled light and, using manual focus, twiddle the focus ring until you get something you like. Then snap. (I like the soft circles that a wide aperture brings – the above is f3.2 – but if you want harder shapes, go for a narrower aperture.) After a bit of experimenting, I decided on this pink, white and green shot for my new background. 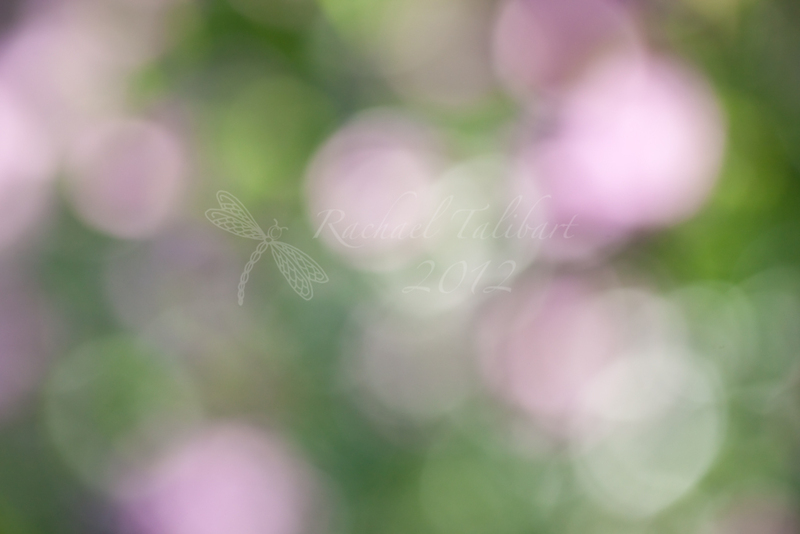 Then it was an easy matter of copying and pasting the bokeh image onto my original. I usually experiment with various blend modes. Depending on the look you are after, you are likely to end up using soft light, overlay, hard light, multiply or screen. The last two have quite a defined impact: multiply will apply the shadows in the new layer whereas screen will apply the highlights. The other three overlay all tones but with varying intensity. In this case, hard light worked best. If the bokeh had been more contrasty, a softer overlay would probably have been better. 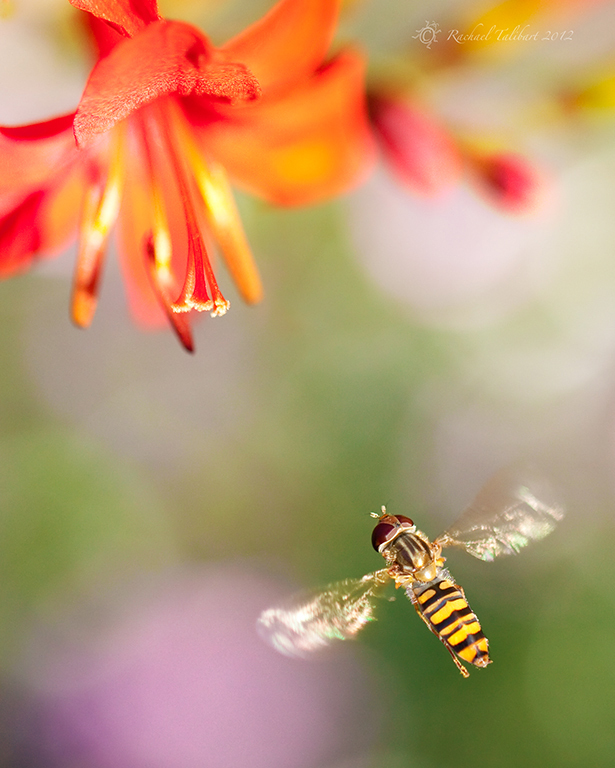 Then a small amount of black brushing where the new layer was slightly obscuring the hoverfly and, hey presto! It’s really no different from using a texture, except the over-layer doesn’t actually have any texture, just soft bubbles of colour. Is it cheating? Not at all, in my opinion. Both images were taken by me and it is no different from double exposing film or choosing a complementary background in a studio. What do you think? 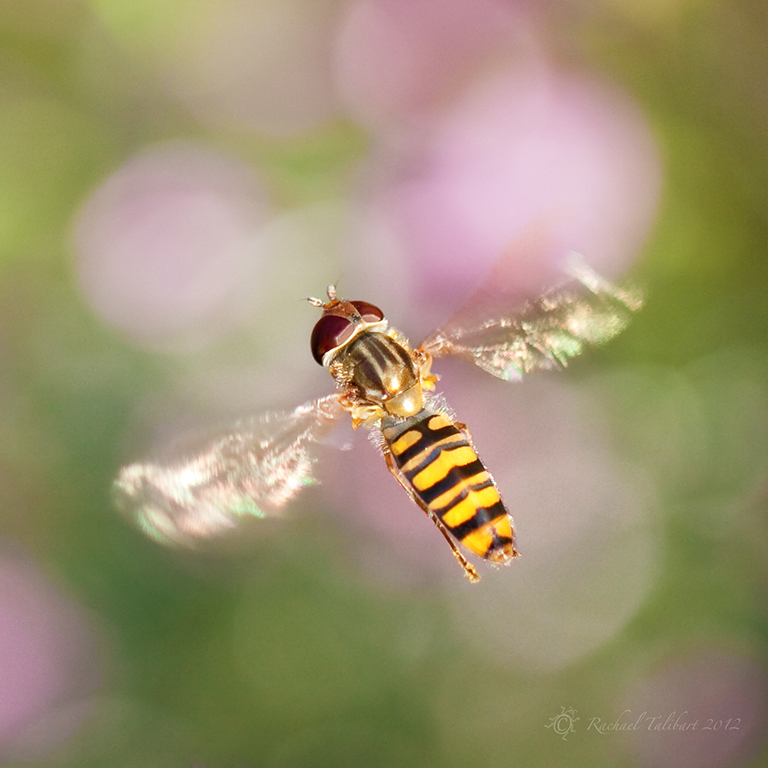 This entry was posted in garden, nature, photography and tagged bokeh, flight, garden, hoverfly, layers, macro, nature, photographs, photography, technique by Rachael. Bookmark the permalink. No its not cheating. The purists will say it is, but who cares what anyone else says. If you like it and think it improves the image (it does,) I say go for it. Thank you, David. I agree! I love the final image, Rachael. The bokeh you added definitely works well with the photo. I am no purist, so I really have no problem with the photoshop magic that you did. I do that too when I want to create a “photographic art”. I think a little photoshop here and there wouldn’t hurt, unless you’re a photojournalist who is [mis]presenting or altering a reality to make it visually appealing to your viewers. Thanks, Gracie. I agree. It’s all part of the creative process. I think it is beautiful, it makes the difference between what looks to me like an artistic creation and a photo. I really appreciated the explanation as it was all new to me. Apparently you answered one question I had about whether there was a Mac version of photoshop. Next obstacle is a 68 year old brain that doesn’t pick stuff up like it used to. especially when you are so honest and upfront about it , a really lovely image Rachael, I hope to be here a lot more now Kay is a lot better , Great Blog !!! Hi Andy. Thank you very much. Glad to hear Kay is feeling better. I am only learning photoshop ( I have an old version) and it makes me smile when you say this was easy!! As for whether it’s okay or not . I can see no reason why not unless you were entering it for a competition and passing it off as original..
Oh and well done on capturing those fast moving wings! All of my photos are camera processed (hi-res JPG), but in getting ready to learn photo editing with software (I’ve not had time yet with four kids! ), I started letting my camera also write files in RAW a few months back. I will “play” once the kids are in school this fall. 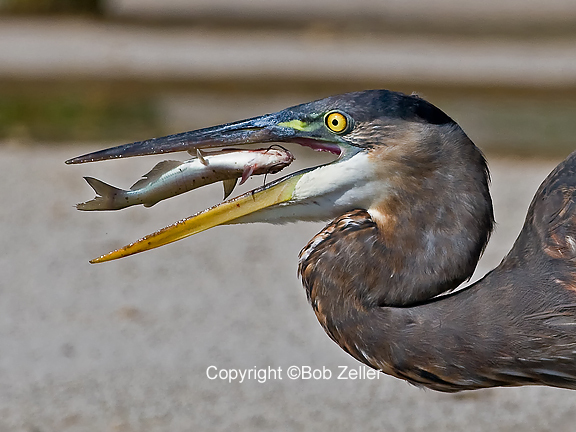 I look forward to creating beautiful images like yours, and appreciate the how-to on this one. Thanks! And it is indeed a most beautiful presentation. Artistic and glorious in every way. It’s funny, I have met so many people who say all their shots are “straight from camera” as if that is a badge of quality. In my opinion, not editing your own images is the equivalent of sending film to the high street for developing. Nothing wrong with that but at some stage it’s good to take control of the developing too. I am sure you will enjoy it once you get started. Good luck! I regard this as ‘creative photography’ in that you’re composing an image as you’d like to have seen it and are presenting it as you’d like it seen. But then, isn’t that what photography is all about anyway? There is really no such thing as a photograph that is entirely what the eye sees. And, on top of that, each person sees something differently. You’ve got the skill, obviously, of making the two images seem like they were taken together – and that is a skill. A lot of people using photoshop fail miserably (for instance, they layer an image from one photo onto another and don’t take the angle of light and shadows into consideration, so it ends up looking like something nature could never concoct. Thanks, Val. I completely agree. There is also of course a big difference between the requirements of photography in the visual arts genre and in the documentary or reportage genre. I work entirely in the former category. I have a lot of catching up to do on your blog, Rachael, but this was a great place to start. I keep putting off my transition to “real” post-production, other than iPhoto, which is all I use now, but your little tutorials make it all a bit less intimidating. And I can totally understand your motivations here and like the results. I don’t know what my own genre would be classed as — “travel photography”, I guess, though I hate that term with its coffee-table book connotations — but I do like a fairly un-manipulated look. The problem I have with a lot of pictures in that field, as well as “outdoor photography”, is that it often looks overdone to me and does not represent nature or place the way I think a person really moving through that environment would really see it. What I’m trying to say in my still-underslept and run-down post-trip state is that your pictures don’t LOOK too manipulated, so bravo! Hi Goat, and welcome back. :). I know what you mean about overdone photographs. I dislike the trend for extreme HDR landscapes where the image screams HDR rather than allowing the landscape to speak for itself. I don’t think its cheating but you should certainly disclose that its a photoshop composite or whatever. I agree. Full disclosure is always best.